These books are amazing, so simple yet they have a big story line. 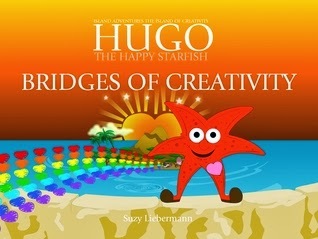 I reviewed Hugo the Happy Starfish here. These books are awesome for me to read to my nephew, my nieces or even my 10 year old daughter, to be honest I have read them a couple times, we can all learn from these stories. This book is based on creativity, this little guy comes up with all sorts of ways to be happy in life.